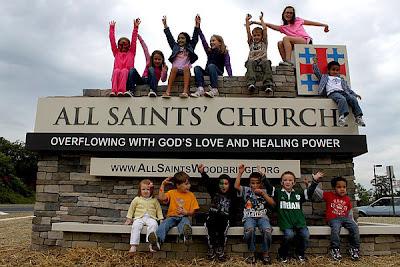 Children pile on to the sign for the new All Saints Church in Woodbridge, VA.
Sunlight streams through the new huge windows down on the large stone cross in the foyer floor. The large white cross has four smaller crosses at each of its four corners, representing Christ’s commandment to reach the four corners of the world, explains Heidi Reichert, the communications director for All Saints Church. This “Jerusalem Cross” image reappears over and over throughout All Saints’ Church’s new building on Gideon Drive, next to Hylton Memorial Chapel. All Saints moved into their new building this last Sunday and is planning a free community open house celebration—complete with a concert, moonbounce, and car show—on Friday and Saturday October 7 and 8. This move is just one more step in All Saints’ development. A descendant of the first Anglican church in Prince William County, which dates back to a chapel in Dumfries in 1667, All Saints held its first service in 1970 and has been meeting at a quant brick steeple building on Saratoga Lane. “We were pretty crammed in the other building.” said Reichert. Offices, children’s ministry and just congregational fellowship were constantly overcrowded. So in 2001, the church purchased 27 acres on Gideon Drive to expand their growing church. 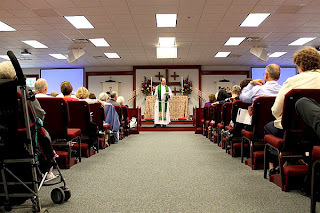 While they were raising funds to begin the work on the new church, however, they came to a standstill in 2003 as a result of the “crisis in The Episcopal Church following the divisive actions of its General Convention,” reads a church pamphlet. After a drawn out process, 99 percent of All Saints’ congregation voted to leave The Episcopal Church in 2006. That same year, the Episcopal Diocese of Virginia allowed All Saints to retain ownership of the new property, but return the property on Saratoga Lane by December 2011, meanwhile allowing All Saints to rent the old building for $1 a year. 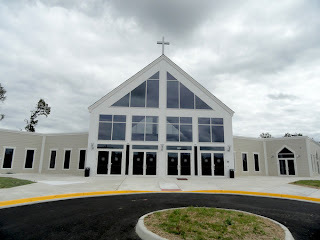 Inside the new Woodbridge, Virginia Anglican Church. With the negotiations finalized, All Saints restarted their campaigns to build their new building. The giant new building has offices for all staff as well as an office area on the third floor for the Diocese of the Mid-Atlantic, which is part of the Anglican Church of North America. 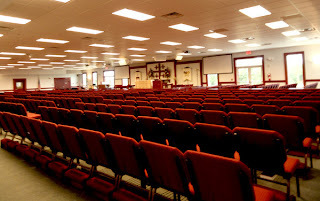 There are classrooms for all grades for Sunday School and a larger classroom for all the children to meet together during services to receive a sermon of their own. The lowest level is dedicated to the church’s youth program, with classrooms, a rec area, and a mini kitchen of their own. All Saints is involved in many outreaches in the community and beyond, from ACTS to Care Net Pregnancy Resource Centers, to Good News Jail and Prison Ministry, to taking meals to the Hilda Barg Homeless Prevention Shelter. “Any place that we provide finances, we try participate as well,” said Reichert. Also big in their list of outreaches is a community-based Vacation Bible School, where host families invite children in their neighborhood to their homes for crafts and Bible classes rather than the traditional large gatherings at the church building. The congregation gets settled in the new church. 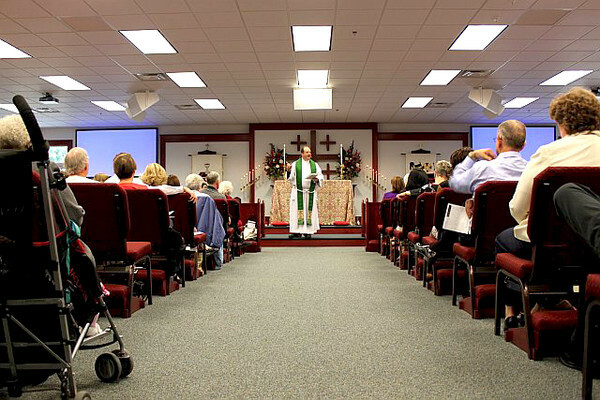 The church holds three Sunday services, a traditional “contemplative” service with no music followed by two more contemporary services. There is also a prayer room which congregants can access through a security code 24/7. The church's goal is to eventually have someone praying in the prayer chapel around the clock. Reichert explained that in the next phase of building plans for the church there will be a new and even larger sanctuary and the current one will be turned into a fellowship hall. “We want our church to be a place where the community can find solace, find healing, and find God,” said Reichert.